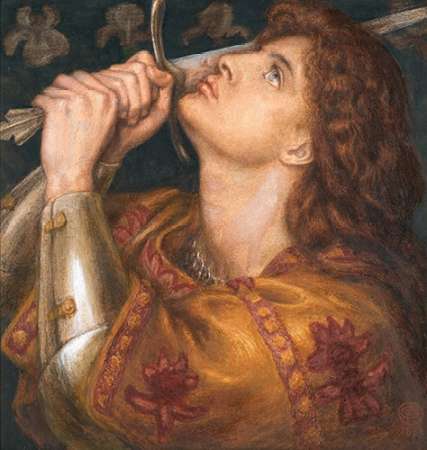 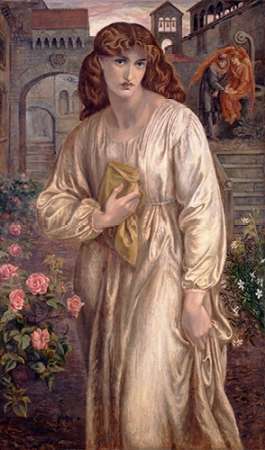 "Rossetti was born in London in 1828 to an Italian political refugee.Having been taught drawing by Cotman, Rossetti began to portray subjects drawn mostly from Dante and a mediaeval dream world which he reflected in his verse. 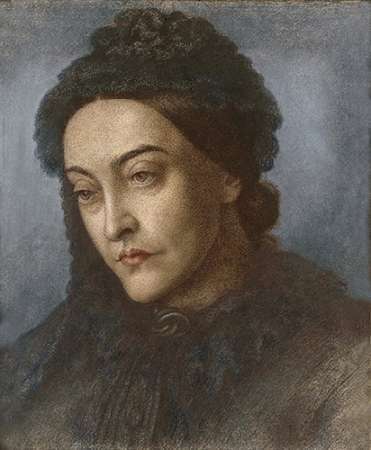 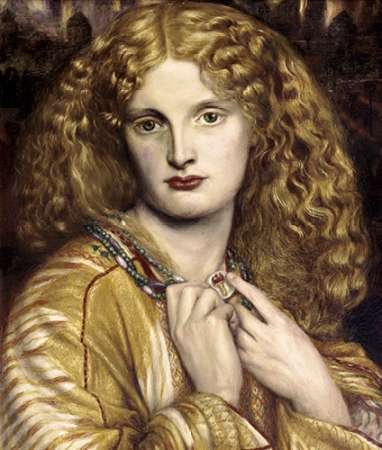 Studying under Holman Hunt from 1848 and seeing more of the social side of London, within two years he had fallen in love with Elizabeth Siddal. 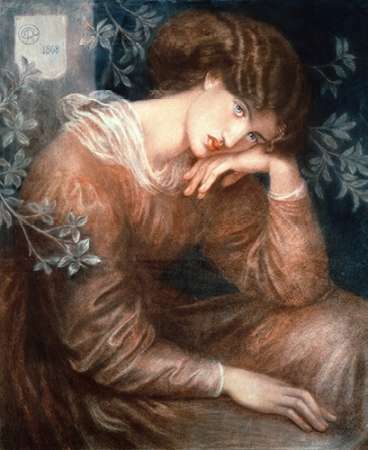 Under Rossetti's inspiration Siddal developed into an artist of poetic and neurotic intensity. 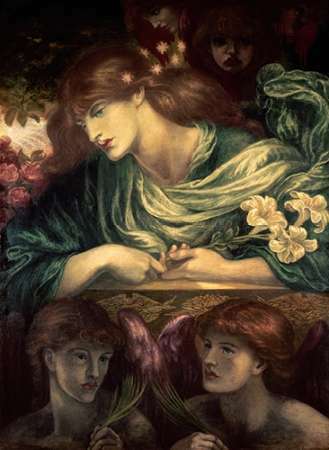 Rossetti himself produced his best work during these years and the couple married in 1860. 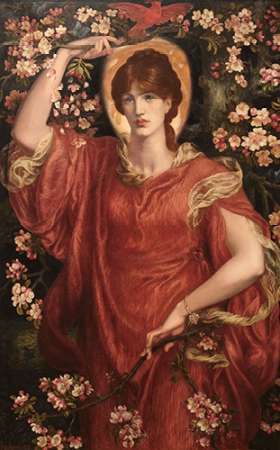 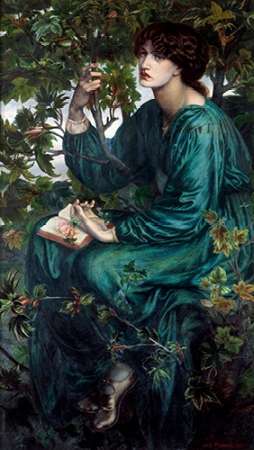 Rossetti is perhaps best-known as a leading member of the Pre-Raphaelite Brotherhood, founded in 1848 principally by Holman Hunt, Millais and Rossetti. 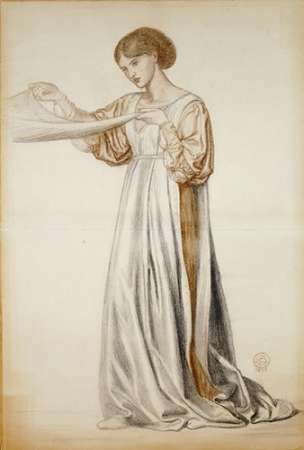 The group’s prime intention was to revitalise British painting and to reject the prevailing ‘academic’ style through a scrupulous attention to Nature and by recapturing the sincerity and simplicity of early Italian art. 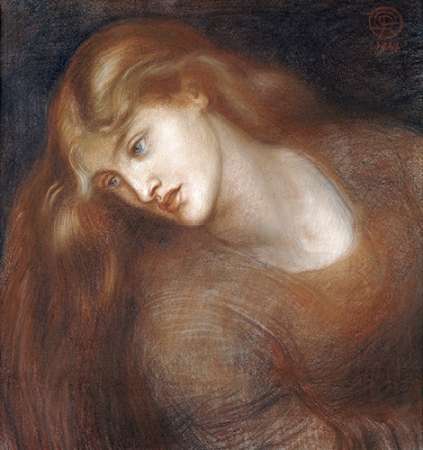 Initially derided, the group soon became enormously influential.By 1862, Elizabeth Siddal was dead from the effects of narcotics. 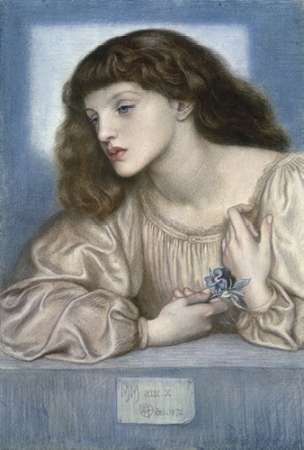 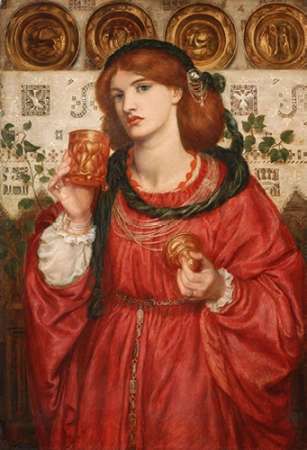 The devastated Rossetti became a miserable recluse, eventually becoming addicted to chloral, an oily liquid used as a hypnotic and anaesthetic.He managed to become involved in the decoration of the Oxford Union in 1857, but was behaving increasingly oddly and at one time laboriously completed a work of art painted directly onto a whitewashed wall, which then perished immediately.Rossetti died in 1882."